New Mexico has developed and implemented by law some of the most stringent requirements for the installation of manufactured housing. While comparisons can be made to other states, New Mexico’s laws are more consumer oriented. 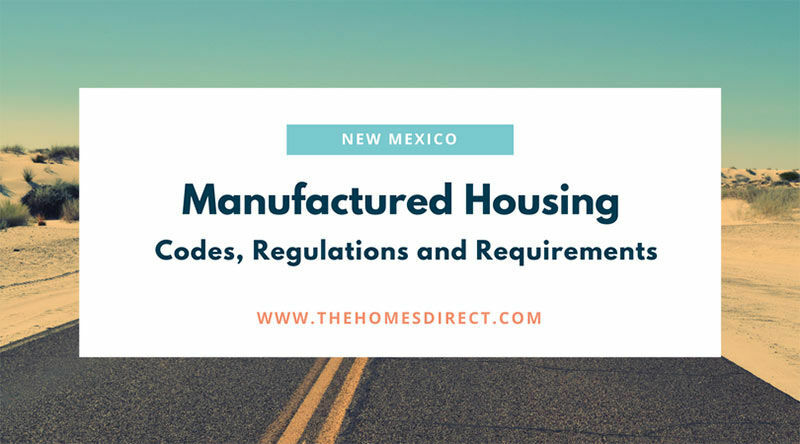 New Mexico has developed and implemented by law some of the most stringent requirements for the installation of manufactured housing. While comparisons can be made to other states, New Mexico’s laws are more consumer oriented. This statement does not mean that other states are less consumer-oriented, but it does mean that New Mexico has chosen to delineate its protections into laws and also into building codes that support the understanding of the laws. The amount of State involvement in the purchase of newly constructed manufactured homes will not vary between those manufactured homes installed in a park setting where a manufactured home owner leases the space occupied by the home, and those homes installed on the privately owned property. The park developers and management will handle complying with the State requirements. Note that some parks will allow the installation of manufactured homes of the resident’s choice, while other parks will require that the homes they sell must be installed. 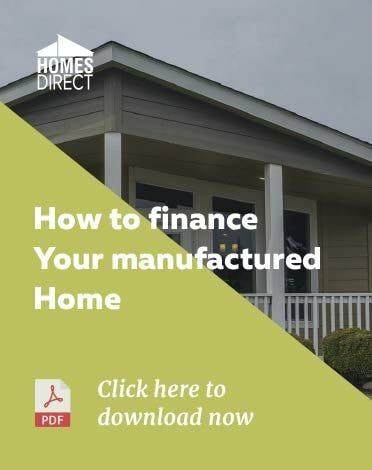 As in other states, manufactured homes constructed for installation in New Mexico must comply with the U. S. Department of Housing and Urban Development (HUD) Code. The HUD Code is very prescriptive meaning that it specifies the type of materials to be used in the construction of the home. The HUD Code is essentially more restrictive in the installation of systems such as ventilation, flame retardant, and structural loads. Before discussing the inspection process, it should be noted that the process is performed much more competently and completely than inspections for site built homes in New Mexico. The New Mexico Manufactured Homes Division clearly states this on their website. The quality control staff employed by the manufacturer conducts an inspection at every phase of the construction process. More importantly, a professional independent third party engineering and inspection company is hired to provide inspectors who are trained in the requirements of the HUD Code and the quality control procedures stated in the Manufactured Home Procedural and Enforcement Regulations. This is a separate Federal standard that stipulates how the inspections are to be performed and monitored. These inspectors are required to be trained in the requirements of the HUD Code as well as the quality control procedures stipulated in the Manufactured Home Procedural and Enforcement Regulations which is a completely separate Federal standard on how the inspections are to be conducted and supervised. HUD has hired separate companies for the sole purpose of ensuring that the proper procedures are being followed. Purchasers of a new manufactured home for installation in New Mexico can be assured that their home has met the most stringent quality control standards. As you can see, the Code is extensive and it would be wise to hire an experienced contractor who understands the law, the permit process, and the inspection process. 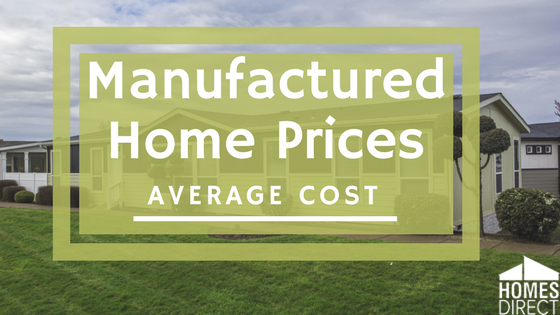 The New Mexico manufactured housing code is among the most stringent in the nation, and it protects the buyers more than a lot of state codes do. Keep in mind that when installing a home in a park, all of these requirements are met by the park. If the plan is to install the home on a privately owned lot, then the first step would be to contact a licensed contractor who has experience in the installation of manufactured homes. This should be done before a purchase is made. It is essential that the home selected can be installed on the lot selected. It would be wise to know ahead of time if there will be any added expense for site preparation. If the plan is to install the home in a manufactured home park, then the site work will be done by the park developers and management. For detailed information about the protection of tenant rights in a manufactured home park see this website. This website relates to the definition of a manufactured home park which is an area that has 12 or more homes installed on it. The website stipulates the conditions that would give the landlord the right to file for eviction. It also delineates the items to be contained in a lease. The New Mexico Mobile Home Park Act is another reference source. This Act can be found here. This is an easy read and every person(s) contemplating the installation of a manufactured home in a park should read this Act. It provides protection for both the tenant and the landlord. There is one important caveat that people contemplating the purchase and installation of a manufactured home in a park should consider: New Mexico law is unclear about the scope of rules a landlord can impose. The law does say that a park must give at least 60 days notice of a rule change and tenants must be given 30 days notice to comment. And it limits the management from making certain rules, and from making or changing other rules without notice. The law is clear, however, that landlords are prohibited from terminating rental agreements with homeowners without cause. A written rental agreement is required with specific provisions. Many of New Mexico’s general landlord-tenant laws also apply. The best way to approach selecting a manufactured home park is to visit some of the people who live there. Go to the local court and check to determine if a number of lawsuits have been filed including evictions. A proactive approach will eliminate the need to worry about a park. The law allows for two or more residents to form a tenant union to bargain with the landlord for changes in the rules or to fix problems. There are no tenant unions to be found in New Mexico which speaks to the lack of their effectiveness and their adversarial nature, or this may speak to the satisfaction with the parks. There is no statewide homeowners association. Owner’s name and mailing address, physical address. Name of manufacturer, model year and serial number. Size; when measuring the manufactured home the tow bar is to be included but if the tow bar has been removed, add three feet to the exterior length of the unit. Number, if any assigned for tax purposes (account number, etc.). Whether the unit was new or used when purchased. Whether the unit is owner-occupied or rented. If rented, the amount of the monthly rent and a signed report by the owner or owner’s agent. The property tax on a manufactured home is derived from the market value appraisal system that is approved by the Property Tax Division of the New Mexico Taxation and Revenue Department. The information is then sent to the State Treasurer’s Office for the tax collection. Since the county assessor does not set the property tax on manufactured homes, the best place to begin the inquiry into property taxes is by calling Taxation and Revenue Department (505) 827-0700. Anyone contemplating the installation of a manufactured home in New Mexico can be assured that both the purchase of the home and its installation will be a successful venture by doing a little homework in advance. New Mexico has some of the most consumer-oriented laws in the Nation concerning the construction and installation of a manufactured home.